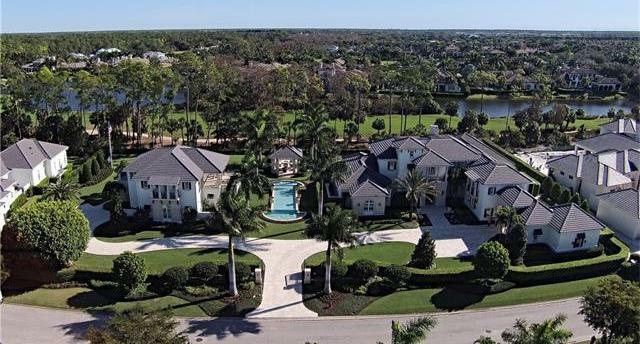 Elegantly situated just minutes away from the world-renowned shops, restaurants and beaches of Naples and within the award-winning Grey Oaks Country Club community is Estuary at Grey Oaks. The Estuary is a vibrant, private enclave featuring magnificent estate homes and equally sophisticated villas that signify the grandeur of the luxurious Naples lifestyle. On a secluded Estuary lot, this magnificent West Indies inspired home and guest house is made up of finest materials and unmatched artistry combined to produced this pleasant and expansive tropical Estuary at Grey Oaks home. The main house is 7671 square feet featuring a vaulted and volume ceiling, the living room has a fireplace, foyer, and French doors. 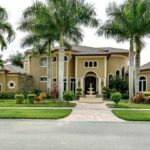 It has 5 bedroom suites, 6 full baths and 1 partial bath, library, office, media room, bar, a private apartment with living room with fireplace, kitchen, bedroom bath & laundry. The gourmet kitchen features AlliKriste cabinetry, Viking appliances, walk-in pantry, china room & a 1000 bottle wine room. 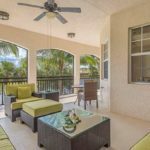 The 2,153 square feet two-story guest house is appointed with top of the line finishes with 1 bedroom, 2 baths, it has its own kitchen, living room, a patio and screened porch. All rooms have built-in cabinet and closet cabinet. The house has installed Multiphone lines and wired surround sound. This most exclusive luxury estate is centered directly behind the entry gates, distinctive inspirational architecture is immediately realized in an impressive reflecting pool with vanishing edge, pavilion & fire pit serving as a focal point between the main house & guest house. Additional features include premium home automation by Savant, 5-car collector’s garage, and 2-generators. As members of Grey Oaks Country Club, Estuary at Grey Oaks residents enjoy three of the most exciting golf courses in Southwest Florida, as well as. 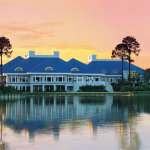 two clubhouses featuring full-service golf shops offering the latest in golf apparel and equipment. Estuary at Grey Oaks homes celebrates luxury living at its best without leaving the conveniences of lively city life. 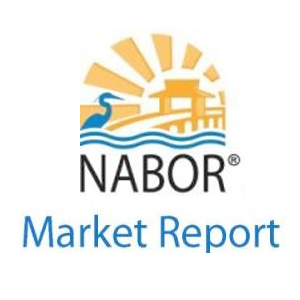 Grey Oaks is Naples, Florida’s most treasured address, considered as America’s best tropical destination set along acres of indigenous flora and fauna, undulating fairways, and traditional luxury residences with exclusive amenities and sophisticated lifestyle. Grey Oaks spans two distinct communities; the Grey Oaks and The Estuary. 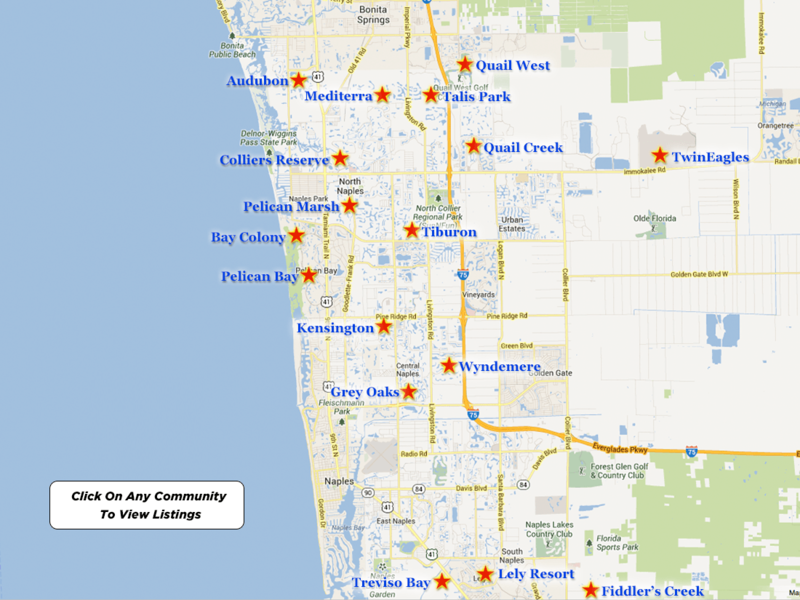 Both communities are located few minutes from downtown Naples shopping districts and spectacular Gulf Coast beaches. Grey Oaks Country Club offers a selection of spectacular estate and golf course residences set within the gated sanctuary of a true nature preserve, an array of resort-style amenities that includes three championship golf courses, estate homes, villas and restaurants and outdoor dining and state-of-the-art fitness center. Estuary at Grey Oaks homes conjures recollections of Old World Mediterranean inspired villages, vine-covered pergolas, barrel tiled roofs and homes painted in a palette of European-inspired colors contribute to a tranquil ambiance that puts a premium on privacy that is reserved exclusively for the most discerning home buyer.